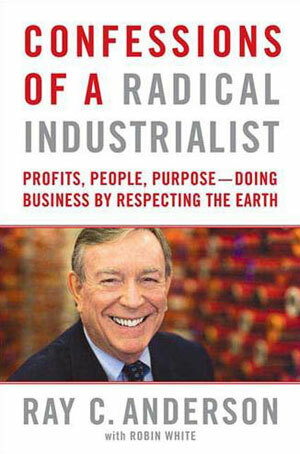 This book is a personal account of Ray Anderson, founder and chairman of InterfaceFlor who led his organisation and industry towards Mission Zero- a goal to use zero natural resources to manufacture and to aim for zero carbon offset in its process. Interface is a global carpet tile manufacturer and this book depicts their trailblazing green journey from where it begun to where it is at present. At this moment, Interface has been able to cut it’s net greenhouse gas emissions by 71 percent since 1996. Achieving that while their sales increased by two-thirds and doubling their earnings. Definitely a worthy example of business and environmental sustainability marrying together towards progress where both wins. I like how Ray was able to integrate his Christian values into his business in regards in being environmentally responsible and sustainable. He shares how he views the Bible as an environmental handbook that commands us to conservatorship- a God-given mandate to be stewards of the environment. Though I found the book a tat draggy at times and peppered with a little too much technical jargons that only engineers could understand, but I still enjoyed it. Truly an inspiration. Read this book and be challenge in our linear mindset of “take-make-waste” that has been adopted from our industrial revolution to one that is “close-looped”- taking nothing new from earth to make and recycling waste to make instead! Who should read it: Business owners and higher management. Inclusive of church leaders.